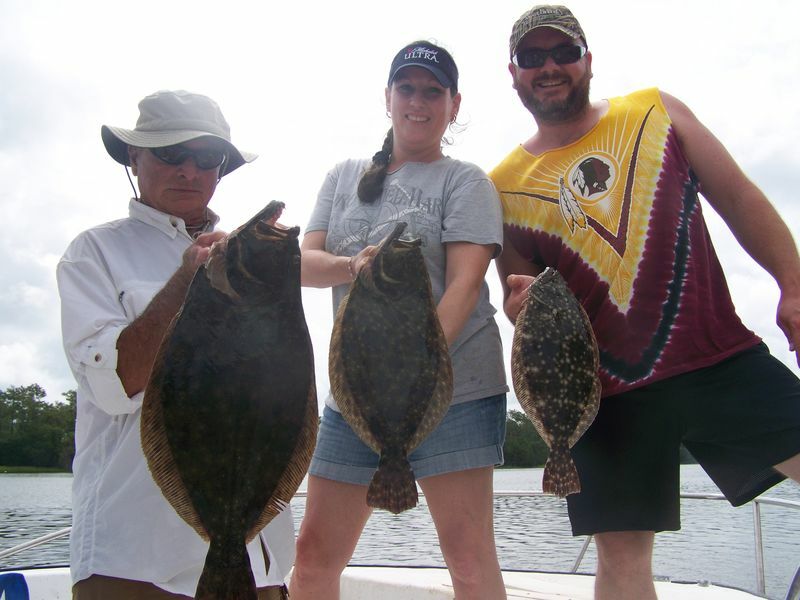 Oak Island Fishing Charters has been in the backwater the last several days and the Flounder, Drum are biting. 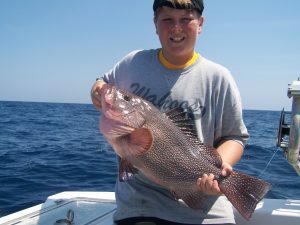 Some days or trips the fish are all small but good numbers (10-15 flounder 4 hours) but other trips they are big (up to 8lbs). Here is one picture waiting on more. 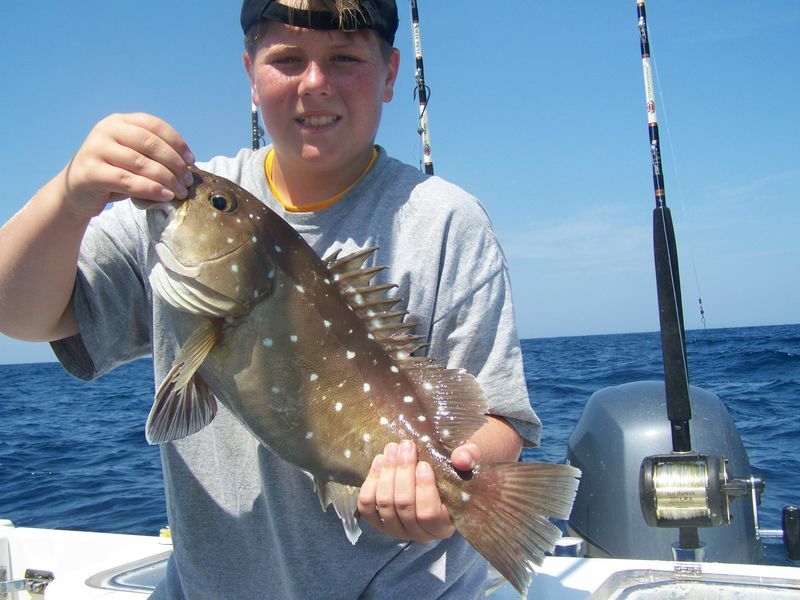 Had a young man that wanted to catch as many different types of Grouper as he could. So with the shallow water grouper being easy we went way offshore shore were the other boats dont go. He was rewarded with Scamps, Red Groupers, Snowy Groupers and Kitty Mitchel Groupers and a Wahoo while it would rain for 1 min then sunny skys the next. He was only 11 but smart enough to bring extra clothes. Lol. Starting to get some backwater and Shark fishing pictures in from the last few days. 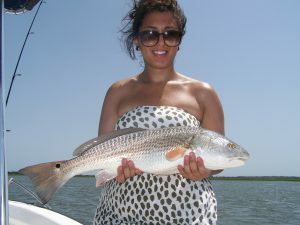 Even with the unsettled weather we are still seeing good number of Red Drum. The flounder we have been catching have been a little on the small side. Hope the rest of the week stays this way. Sorry for the delay but Oak Island Fishing Charters has been all over the place the last several day. 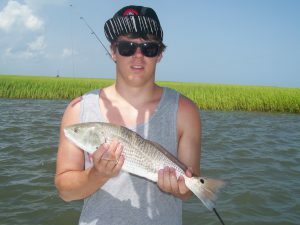 First the Red Drum are still biting ok and the Spanish Mackerel we have been catching before we go Shark fishing has been off BHI. 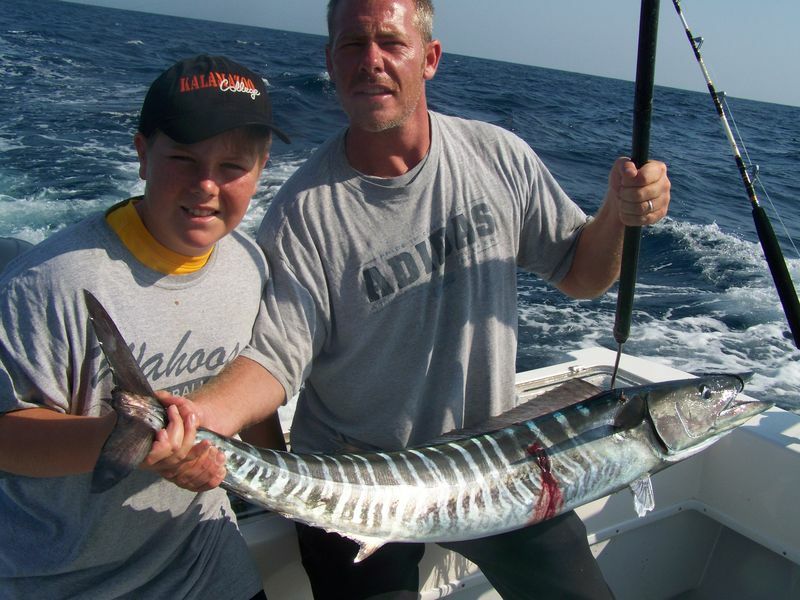 When we get offshore we have caught just about every kind of fish possible. Scamp Grouper, Red Grouper, Snowie Grouper, Kitty Mitchel Grouper, Snappers Wahoos and even went 0-5 on sailfish. Pictures to come when things slow down a little. Once again Backwater to Bluewater we got you covered. 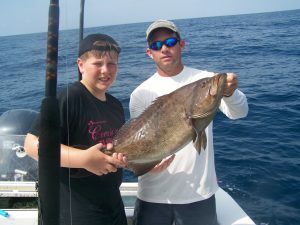 Oak Island Fishing Charters Grouper Beat Down. Another weekend of wind and rain but one good thing about it the boat is ready to go now and we have several Grouper trips coming up so they better watch out. I might be slack this week on fishing reports since I want be getting home till late so be ready. Sorry for the delay but since its blowing and raining here is your fishing report. The Flounder fishing is Hot with numbers in the 15-20 per boat on the nearshore reefs. Also the Spanish Mackerel are everywhere from the River to Lockwood with more bait on the beach than Ive seen in a while. Been chasing the Tarpon in the evenings and still stuck 0-4 tarpon winning. Hope next week produces like this week. The last couple days we have been going out and catching just enough Spanish Mackerel on our nearshore trips to go feed to the Sharks. The Sharks are not biting as good as they were but we are still getting good number and some big ones. Todays rain messed up the afternoon trip so hopefully we can get out in the morning. Sorry for the delay but we have been busy doing all kinds of good stuff. 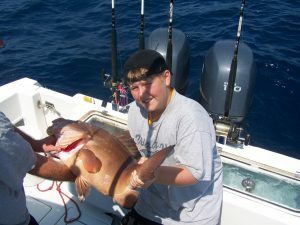 First the live bait action for Amberjacks, Grouper and Barracudas is as fast as we could get the baits in the water. Second the Spanish are all over the Frying Pan Shoals and they are hungry. We have also been catching good numbers of Flounder right before we go chasing them big Tarpon that as of right now have our number (0-4). Looks like Monday night we might finally get a chance at a photo but these fish are hard to keep on the hook. As you can see from Backwater to Bluewater we can do it all and full on energy.